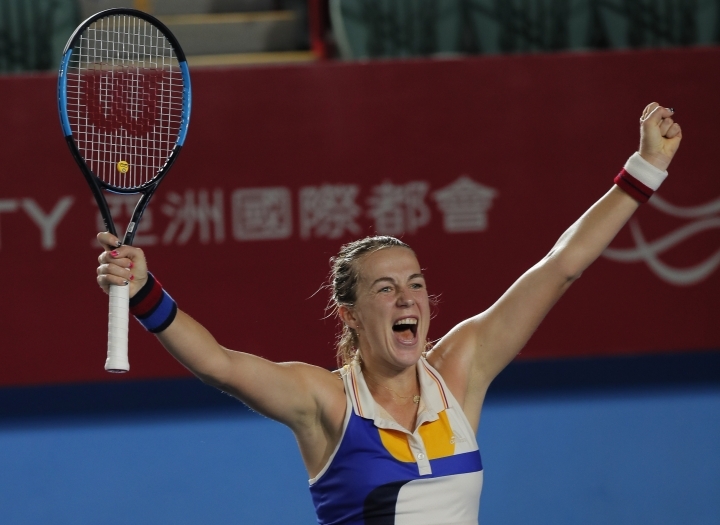 HONG KONG — Anastasia Pavlyuchenkova of Russia won her third WTA singles title of the year on Sunday, beating Daria Gavrilova of Australia 5-7, 6-3, 7-6 (3) in the Hong Kong Open final. 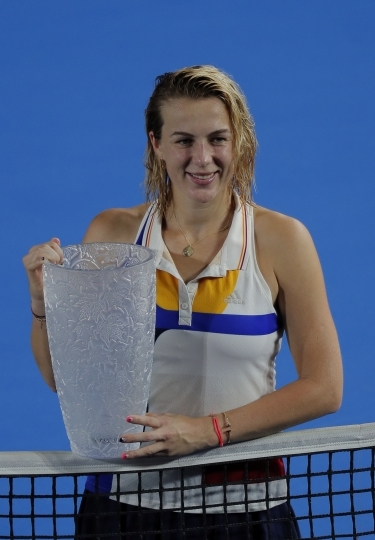 "This morning we were ready to share this trophy and I actually think we both deserve this trophy," sixth-seeded Pavlyuchenkova said after the match lasting 3 hours, 11 minutes. "It was a really close match, just I was maybe lucky a little bit in the end." The match started after 9 p.m. local time after it was delayed by several hours because of a typhoon warning that lasted most of the day in Hong Kong. The windy conditions made late-night play difficult at both ends of the court with a total of 103 unforced errors — 62 by Pavlyuchenkova. The 21st-ranked Pavlyuchenkova went ahead 3-0 in the first set. Seventh-seeded Gavrilova fought back to break Pavlyuchenkova in the seventh game and again in the ninth when Pavlyuchenkova was serving for the set. Finding her stride, Gavrilova took the opener. Pavlyuchenkova again had a 3-0 lead in the second set before receiving medical treatment at the changeover. Gavrilova tried once again to come back but went off court to receive treatment at 5-2 down. The match was suspended for rain at 5-5 in the third set. The players returned to court shortly before 1 a.m. local time. Pavlyuchenkova had three match points in the tiebreaker but needed just one after Gavrilova netted.